Chances are that you have had to deal with the presence of a bit of damp and mould in your home at some point or another. While removing already existing mould is relatively straightforward, ensuring that it doesn’t come back is a real challenge. Different types of mould need to be dealt with in different ways if you are to ensure both cure and future prevention. Here is a list of the variety of moulds that may make an appearance in your home, along with tips on how best to remove it. Arguably the most common type of mould found within the home - Aspergillus is also one of the most dangerous. It can cause serious allergic reactions, especially in those with compromised immune systems. Aspergillus can also aggravate asthma, resulting in more frequent attacks and, eventually, severe respiratory infections that may require hospitalisation in order to treat. How to remove: Aspergillus spreads easily when touched or disturbed, so it is highly recommended that you call a mould removal professional in order to ensure that it is properly eradicated. Slightly less common than Aspergillus, Aureobasidium generally grows on wooden surfaces and walls that have been painted or adorned with wallpaper. It consists of pink and black spores and is known for causing allergic reactions in some individuals. How to remove: This mould can usually be easily scrubbed away. Just be sure to apply a special mould sealant over the previously affected areas to prevent recurrence over time. While most types of house moulds require damp, warm environments in order to grow and thrive, Cladosporium is capable of growing in cold temperatures, making it one of the hardier species of mould. You will generally find it growing on fabrics or on wooden surfaces around the home and can identify it by its dark green / black appearance. It can aggravate the respiratory system, eventually leading to infections. How to remove: You can remove the mould yourself by brushing it off into a dustpan and throwing it away. Prevent re-growth by spraying the previously affected surfaces with a mixture of water and vinegar. 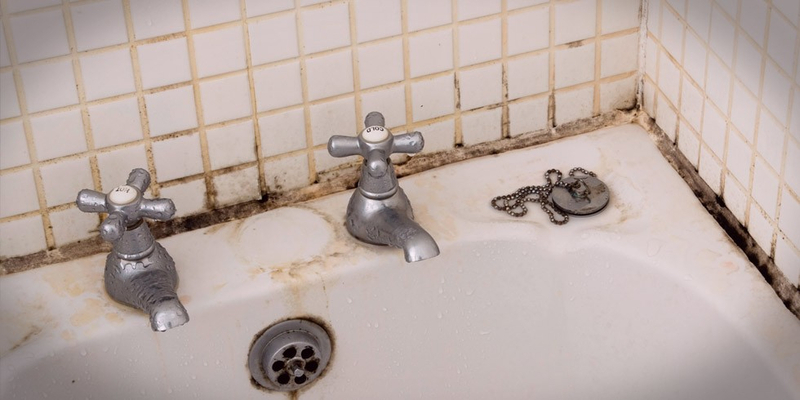 This mould is usually grey in colour and is most commonly found outdoors; however, it is also commonplace in bathrooms where ventilation is lacking. In order to avoid asthma flare-ups and unpleasant allergic reactions, it is important that this type of mould is dealt with as swiftly as possible. How to remove: Remove Botrytis mould in the same way that you would remove Cladosporium. For more tips on coping with household emergencies, such as damp and mould, be sure to download the latest MiWay eBook entitled “The Household Emergencies Handbook". And don’t forget to further safeguard your home with the help of MiWay home insurance!